Grace graceful she is not. My sweet girl I wish you could see her the way I do. 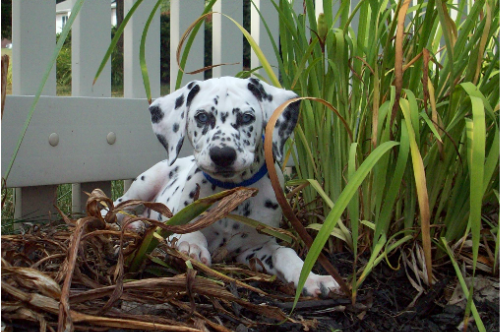 Dalmatians a breed that I love. She is a gift that brings joy just by being in the room. If you’re a person that loves animals you understand the way I feel just being around them. 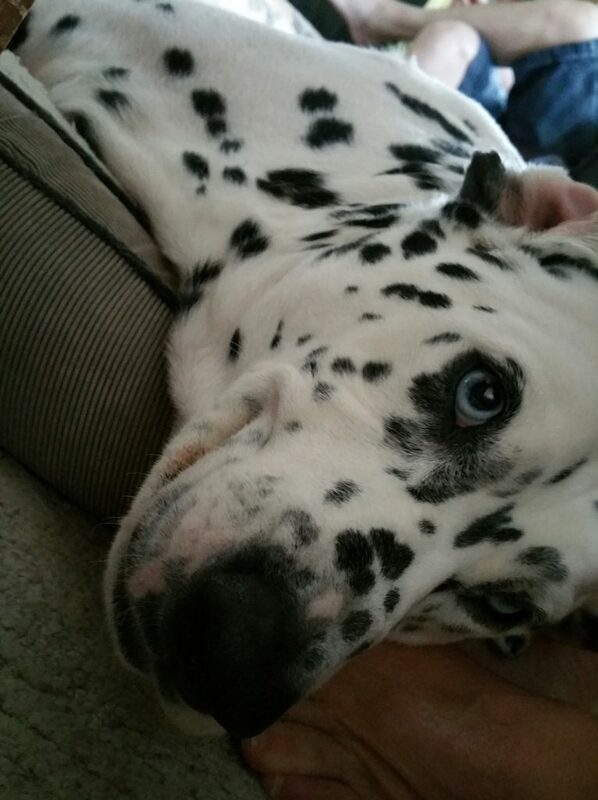 As a puppy she was so clumsy that we would laugh so much just watching her come into the room. She was like a tornado coming in from the outside, just a ball of energy. She’s always happy to see you, and you know that she will met you with a smile. We weren’t sure what to name this new member of our family and every name we tried just didn’t seem to fit. We were sitting around our kitchen with some really good friends. They came over to meet our little girl. After about 10 minutes she came down the stairs and around the corner. She was moving so fast that when she rounded the corner she lost her footing and tumbled over about three time. My friend looked at her and started to laugh and said” she not graceful at all.” I said “that’s it her name is Grace graceful she is not, it is perfect.” Believe me when I tell you she lived up to her name. A gift, they say you get what you need not what you want and I did. What a clown I love her. So you would think as she got older that she would become more graceful. Grace graceful you’re not and that’s okay we love you just the way you are. You can see more painting or drawings of Grace in my galleries. 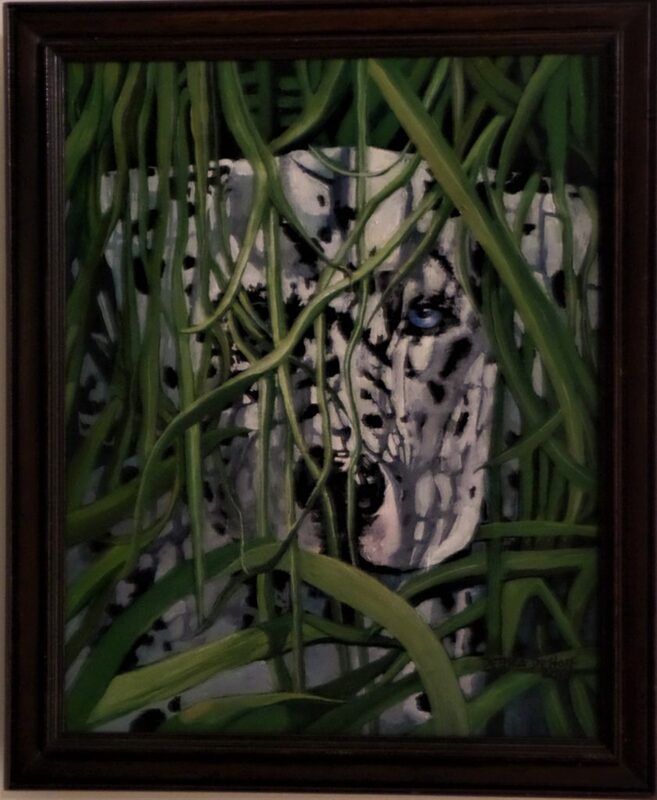 I wanted to share Grace with you now because she lives forever in my art and in my heart. Visit my page and see more pictures and current pieces I’m working on.